Keep Your Air Conditioner in Peak Condition! Cut down on repairs and take advantage out of comfort and savings with a maintenance check and 30+ point air conditioner cleaning from Affordable Heating and Air Conditioning. 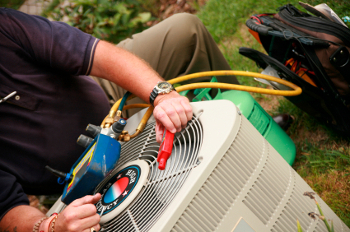 Our certified maintenance team will recondition your unit to its best performance, so you can rely on relief from the heat throughout the summer months. Properly maintained air conditioners last longer, sometimes up to 20 years. Have Affordable keep your unit in peak shape every year. Inadequate maintenance results in more costly repairs and you will end up replacing your AC sooner than you thought you should. Unclean cooling systems can cost up to 50% more to run. Cooling your space with a dirty AC takes up to twice as long as it would if was clean. Nearly all breakdowns are a consequence of poor AC maintenance. An air conditioner inspection and cleaning from Affordable Heating and Conditioning in Beloit is reasonably priced and can put a stop to unwanted expensive repairs. Our maintenance professionals will clean out dirt, dust and other waste material as well as determine if there are any problems that could get in the way of you staying comfortable and cool all summer. We help your keep your energy bills as low as possible! For a free estimate, call Affordable Heating & Air Conditioning today at 815-963-0877 to schedule an appointment.